Well, there is no misspellings, you have read correctly. Best coolers with speakers, they exist! Coolers manufacturers don’t want to stop and continue to surprise us with unexpected novelties in the coolers world. 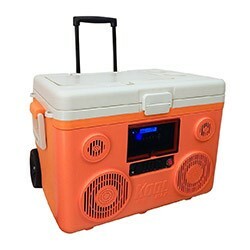 One of the latest inventions is coolers with speakers that have rapidly got incredible popularity among users and conquered their hearts immediately. In this article we are going to speak about coolers with speakers or rather best coolers with speakers that are available on the world market nowadays. So if you want to add some bass to your next trip or party at the beach this post has been created specially for you. This post will help you to choose the best cooler among high quality ice chests with built-in speakers. Variants that are presented here have different characteristics and different prices. There are some rather expensive variants with one of the best sound systems while some of them have more affordable prices and despite the fact that there characteristic are not so good, these coolers can also make your party cheerful and unforgettable. Nevertheless all these coolers have three things in common: they are high qualitative, they are equipped with the speakers and of course the main coolers’ characteristic – they can keep your beverages COLD! So, it’s time to start our review and we gonna start it with the comparison table in what the main representatives of coolers with speakers are presented. Cooler with Speakers. Best of the Best Variants for Our Readers. TOP CoolersWith the Best Stereo Sound. Start Your Party Right Now! The Coolest Cooler is the most popular variant among high quality coolers with speakers. Its unique orange color and famous Kickstarter program make it in extremely high demand among users all over the word. Coolest Cooler that has occupied the first position in our list of TOP coolers with speakers is not an exception. Due to its bright color, modern design, convenient form and size, and good characteristics this cooler becomes a leader in our chart. The Coolest Cooler is the expensive variant about that we have talked before. But its price is fully determined by the quality of its sound. This cooler is one of the several options in our list that have a truly quality sound. Thanks to waterproof speaker you can put it even near the water and go swimming under your favorite songs. And the most important think in the description of this cooler is that its sound will not make you blush because of the bad quality of the sound. 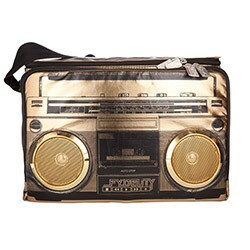 With the Coolest Cooler you can turn on your favorite music at full volume and be proud of the sound quality. Beside best stereo this cooler is also equipped with such necessary trifles as USB charger (that is also waterproof), bottle opener and blender for mixing beverages. Also you will find in it build-in board and plates, and a knife for convenient preparing food and drinks. 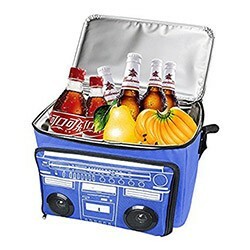 Features that make Coolers Cooler leader among best coolers with speakers are its durable wheels made of rubberized quality material and hardware made of the stainless steel. (If you are interested in other coolers with wheels they can be found here). There is nothing to add to this startling list of functions and characteristics and all that is left to us to do is to recommend the Coolest Cooler to purchasing. This multi-functional cooler with speakers is definitely worth your attention. 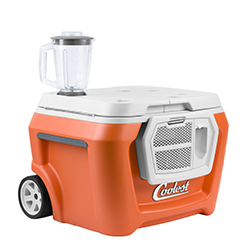 One more leader of our list of best coolers with speakers is Tunes2Go CA-E065O KoolMax cooler. This cooler is a dreamboat for crowd of users. You will ask why? The characteristics of KoolMax cooler are so breathtaking that you can not resist it. But less emotions and more information. Being the cooler with the highest price among all our variants the KoolMax cooler have a number of features which it can boast of. Let’s look at them more attentively. The 350-watt max output stereo that consist of four different high quality Bluetooth speakers (two of them are 6.5” Hi-Fi and two others are tweeters) provide the best sound ever. Thanks to the waterproof construction you should not be worry that water at the beach will damage your cooler. 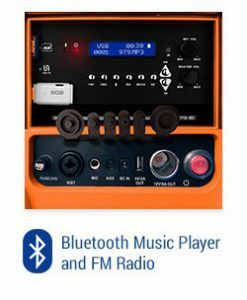 In addition to these sensational characteristics the KoolMax cooler has a 12-volt power plug, two ports for USB, CD memory card, ¼” instrument input and an XLR microphone input! With such features you will catch envious glances from every neighbor from other company at your beach party. Such characteristics together with the FM radio that is also built in this marvel make the KoolMax cooler remarkable representative of the best coolers with speaker. And in our chart it place second position. This cooler can accommodate 48 cans that will be enough for your company at the outdoor party. Do you think we are done? Of course no! The list of impressive features is still continuing. This cooler can boast of durable rubberized wheels and telescopic handle that make it extremely simple to transport. In addition to this the KoolMax cooler is equipped with the flashlight, bottle openers and rechargeable battery that allow you to enjoy your favorite music up to 16! hours. Also you can find storages for your IPad and cell phone. Huh, it seems like that’s all! GIWOX bluetooth speaker cooler that has occupied the third position in our list of the best coolers with speakers slightly give way to the previously described KoolMax and Coolest Cooler. But with the price equal to $50 or even less, this cooler has very good features comparably with other options available in such price range. For those our readers who want to look through all available variants in such price we recommend to familiarize with them right here. 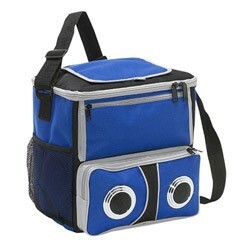 Made of durable 600D polyester and equipped with the durable handle this cooler will last you many years and don’t let you down in your next trip or at the party. 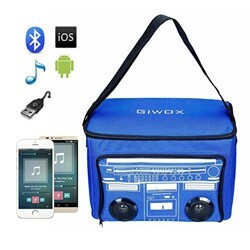 With two bluetooth speakers (V2.1) the GIWOX speaker cooler will sound not as good as the previous options but definitely much better than your cell phone’s dynamics. The material of the cooler is durable and qualitative and together with such characteristics the GIWOX cooler can be one of the best variants in such price range. Thus if you are searching affordable cooler with speaker with the quality sound this variant will suit you. The Bellino Sound Cooler has the similar characteristics to the GIWOX cooler from the previous position. Made of the quality nylon material and with the waterproof internal material this cooler has good level of durability. 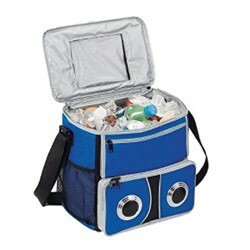 The outer pockets of the cooler allow you to take necessary things to your party. Lasting handles and convenient form make this cooler simply transportable. Like the previous option Bellino Sound Cooler is equipped with the two speakers but it doesn’t have Bluetooth. 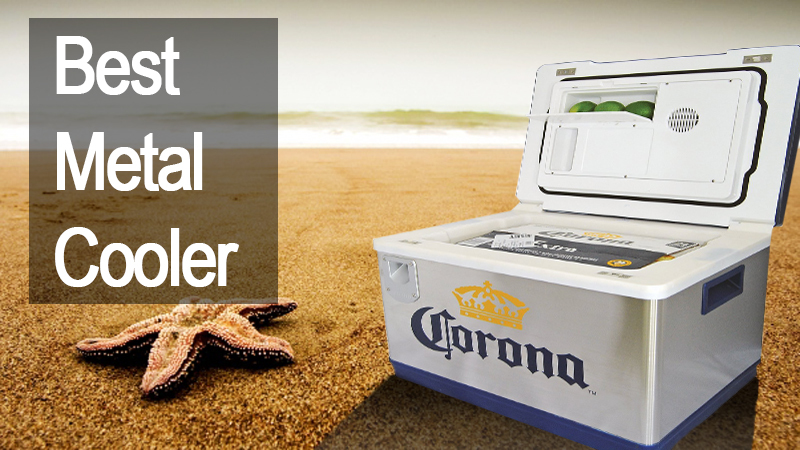 With the price about $30 this cooler has all essential features – it can hold an ice and it can play the music. The spaciousness of the Bellino Sound Cooler is equal to 24 cans. This cooler will not give you the best quality of sound but in such price range it has all necessary features and good quality of its components. 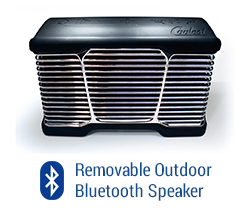 The design of Fydelity JAMBOX Coolio speaker cooler is LUXURY. 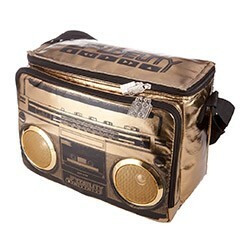 Specially designed for the imitation of the 80’s hip-hop style this cooler will make you the main focus of attention wherever you go. With this soft sided speaker cooler each party on the beach will become really stylish and unforgettable. This cooler also has two stereo speakers that sounds pretty good for cooler at such price range. 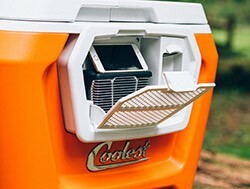 The Fydelity JAMBOX Coolio speaker cooler is not equipped with Bluetooth but with standard 3.5mm jack you can easily connect to it your MP3 or cell phone. This cooler is not waterproof and although manufacturers claim that it can withstand some moisture, we recommend you not to risk and try to keep it as far from the water as it is possible. Size of 14” x 9.5” x 7” gives you enough place to keep 18 cans of your favorite beverages cold. 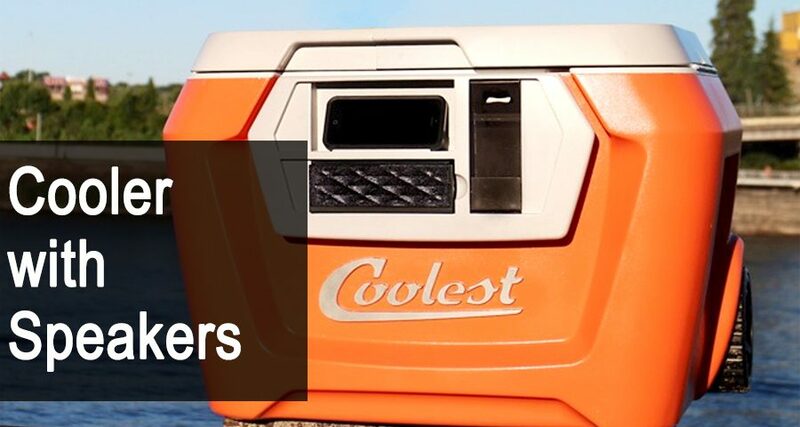 As a conclusion we say that each of these five best coolers with speakers is worth your attention. 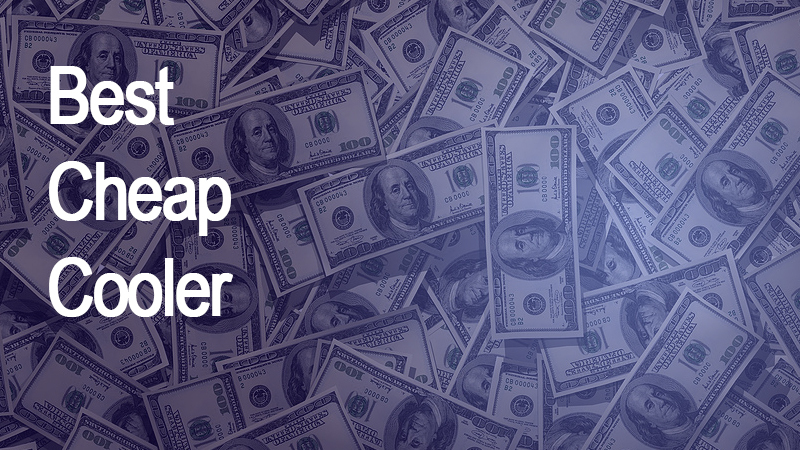 The main thing that you should decide before choosing is the money amount that you are ready to spend on it. Can you afford such premium variants as KoolMax or Coolest Cooler or you need some less expensive but quality variants? We have picked up in this article options for different price ranges and hope that you will choose party cooler that fits you most of all.